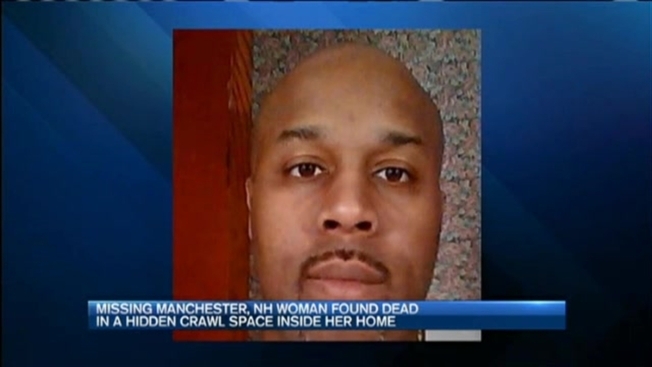 A gruesome discovery in Manchester, New Hampshire, brings the missing roommates case to a close, but now a homicide investigation is underway. A small memorial stands outside Sue Hutchinson's apartment as neighbors learn more about how her body was found. "Someone's trying to get away with murder by hiding her," said Elaine Sweeney who lives near Hutchinson on Calef Road. Hutchinson's own family members helped investigators find her body. 2 Roommates Missing in Manchester, N.H.
Sunday night, they smelled a terrible odor at Hutchinson's apartment and called police. "When they did check the closet, they found a hidden crawl space," said Senior Assistant New Hampshire Attorney General Jeffery Strelzin. Stuffed inside the crawl space was the 57-year-old's body. Authorities say her daughter's former boyfriend, Stephen Andrade killed her. "He put her there to hide the body," Strelzin said. Hutchinson and Andrade were reported missing on Sept. 20. Andrade's body was found in a Tewksbury motel last week. Police say he committed suicide. Neighbors say Hutchinson was kind and police say she was generous. They say she took Andrade in when he had no other place to go. "The greatest thing you can do is help other people and then they come back and they kill you," Sweeney said. So now, the only comfort in this case, is knowing eventually the many questions will be "I hope it gives them closure," said neighbor Naomi Stevens. Some of those answers will come after an autopsy scheduled for Tuesday. Necn has learned that her coworkers at the Pine Street Headstart are holding a candlelight memorial outside her home on Calef Road Tuesday night at 5:30.